Spend your money. Buy it. Buy it twice. While not perfect, congratulate director David Dobkin for a job well done. Frankly, the “black sheep son returns home”, “cranky father set in his ways”, and lovably underdeveloped supporting cast aren’t enough to make this movie as bad is the big critics say. 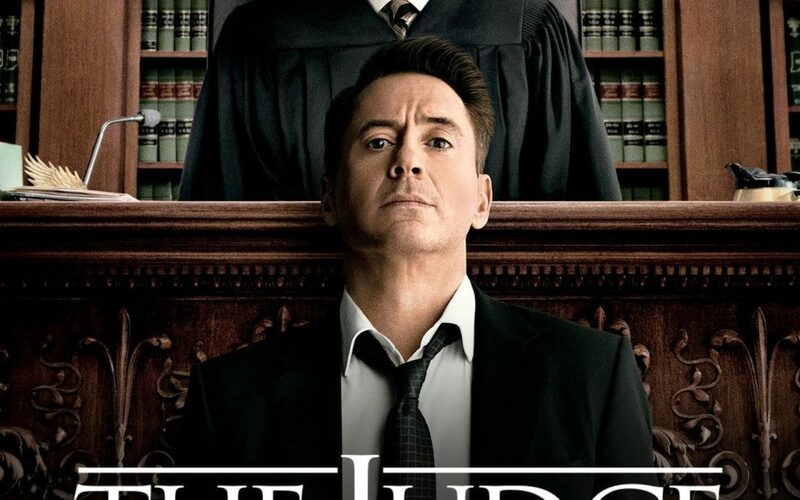 Robert Downey Jr. plays Hank Palmer, easily the most dislikable lawyer you definitely want defending you, who lives in Chicago with his soon-to-be ex-wife and absolutely adorable daughter. Upon returning to his hometown to bury his late mother, Palmer patriarch Judge Joseph (Robert Duvall) is charged with manslaughter after a body is found in suspicious circumstances. Family drama, an old girlfriend, a soon-to-be ex-wife, and easily one of the cutest kids you’ve seen, the movie does a great job at capturing your attention, reviving the courtroom drama, and barely missing the scripting cues needed. Let’s jump into the highs and lows of the movie. -First of all, the acting is too slick for the script’s lacking nature. The acting is so good that you’re left wanting more from the supporting cast’s development. Hank vs. Judge Dad is easily the most dynamic interaction throughout the movie, but the supporting cast is phenomenal. -The supporting cast is perfect (despite being underdeveloped). Brothers Dale (Jeremy Strong) and Glen (Vincent D’Onofrio) have a touching relationship that is understated throughout the whole movie but touched on just enough for you to know how life has woven these two individuals so closely together. High school sweetheart, Sam (Vera Farmiga), is clever, and easily raw enough to add depth to the relationship between Hank and Sam. -The accuracy is dead on. This film expertly depicts the relationship between the law and its subjects, as well as the members serving in the judicial system. Of course, it cuts out most of the more droll aspects of court, but that’s to be expected for films nowadays. -The Roberts…c’mon. Downy Jr. plays a typecasted narcissistic, egotistical, quick-witted, snarky superhero. Whoops, I meant lawyer. The resemblance to Tony Stark aside, you love every charming thing that comes out of his mouth, no matter how detestable the character’s mindset and blunders are. Duvall, nominated for multiple awards for his role, is so frustratingly brilliant. Bullheaded, traditionalist, and unwavering, his take on the “stubborn old man” role shift the respect of his character development to its well-deserved pedestal. -The Score hits you right in your feels. Nominated for an academy award, the score for The Judge pulls on just the right amount of heartstrings. Composer Thomas Newman, with the help of Bon Iver‘s Holocene, delivers as score more than enough to stir any feelings up to the point of seeking the tissues. -A crammed script downplay character development. Transcribing book to film has never been easy, and this is one instance that too narrowly misses the mark. The brothers, Sam, Blackwell and Mom, Dickham and virtually every supporting cast member just need more screen time. -It’s cliche. No matter how well the cliches are executed…they’ve still been seen before. Most of Hollywood has beaten this area to death and back again, so while The Judge has a refreshing take on it…you know what to expect from it still. -Some tension is simply manufactured. So much is going on. SO much. So, with a choppy, cramped script, it’s expected that a lot of the tension is just touched on and not played out well enough. Another 30 minutes could have resolved a lot of lingering needs for character development, and this is a direct cause of just a bit too much drama. Far from missing the mark but still needing more, The Judge will win you over for sure. We give it an 8.4/10 for the reasons discussed above. The predictable cornerstones of family drama it employs are strangely delightful, and this battle of the Roberts has easily one of the best acting displays in a long time. The dialogue and script are choppy at times, and the imagery gets to be just a bit too much at times. But even with those predictable cliches, the movie knocks it out of the park with an amazing score and even better casting. The Judge is a must-own movie. Have you seen the movie The Judge? Let us know what your thoughts were in the comments section below! am happy that you shared this helpful info with us. Please keep us informed like this.